Epom ad serving platform provides publishers and advertisers with everything they need at each step while solving their advertising tasks: planning, optimising, analysing, real time reporting, and many more. Work for Epom Ad Server? Learning about Epom Ad Server? "Great tool for buying traffic"
Epom DSP has literally become the best investment of the year. Simple interface, a wide range of ad formats and amazing targeting options. White label Dsp has a super easy setup page, where you can set up logo, terms and conditions within 10 minutes. One of their main benefits are native and popup ads, which is not common for the majority of DSPs which have pretty standard ad formats. Epom DSP has a minimum commitment of $2000 and 5% setup fee, which is the most compatible price on the market, as one of the DSPs we considered before choosing Epam charges $7000 for white labeling option. hint - you can set a different fee for every particular advertiser. We need DSP for programmatic advertising using mobile, desktop, and video inventory. 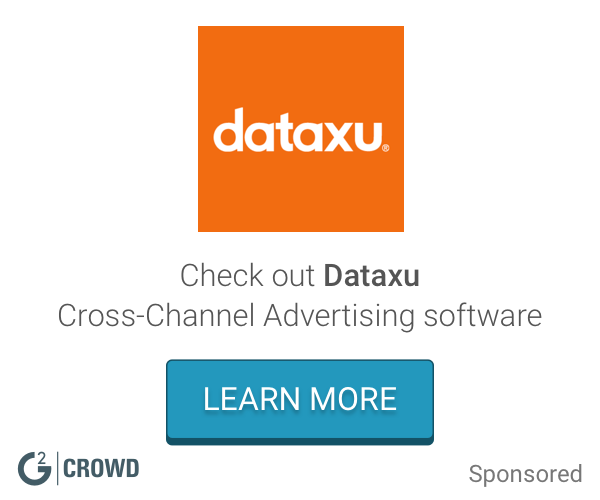 "Good tool for running performance ad campaigns "
Really smart platform. If I am not winning bids, the system tells me the exact reason why that happens. And I fix it asap. Usability - the platform is well designed and easy to navigate. DSPs are normally very complex, however, Epom provides good UX. With the help of Epom I run complicated performance ad campaigns and launch retargeting. So we can be sure that we buy quality users. Awesome optimization tools - we can set up the rules for traffic bidding and if the traffic source doesn't fit our bid or targeting options it's automatically blacklisted. So, we don't pay for low-performing traffic. Instead, for best-perfrofming traffic sources we set the bid multipliers to be sure that we always win the impression. As we are the newbies to the programmatic buying, we'd like to have more tutorials. The interface is really user-friendly and their support team is super helpful! I do recommend Epom White label DSP. We use white label Epom platform to promote our services/buy traffic. As we created our own DSP we do not share revenue with third-party ad networks and we own all the data. "Amazing solution for advanced ad serving"
Feature we enjoy best is for sure automated optimization: you can constantly optimize I2C & eCPM without digging into the ad server account. We can run AB tests, use mass uploads and use their extensive targeting. However, the very best feature we appreciate is the absence of the discrepancies. If you are a big publisher, you know how much can even 15% discrepancy cost you. I needed 3 demos and a help of the personal manager to get everything setup right. I have an entreprise Account and it works best for us. Ad server helps us manage multiple projects at a time. We use it for mobile arvertising in our games and it’s the most complete solution we’d ever used. They are constantly developing new features, which is great for us, but may be useless for small publishers that seek simple functionality. Despite the UX, the core value of epom ad server for our business is huge. Its one if the cheapest solutions on the market, but one of the most feature- packed. Definitely not for newbies. The interface may be slow during mass operations, eg mass uploads. managing multiple advertisers and hundreds of ad campaigns in one account. It’s easy to use platform for efficient ad management & optimization with RTB technology and more than 40 ad formats including best-performing rich media and native. My manager is super-friendly and can advice me on some new features or guide me through some especially complex setups. It took me 2 demos and lots of documentation reading to finally get a clue how to get the most of it. You’ll really need patience, but it pays off very soon. My server functionality is based on my business needs and goals, so I don’t pay for features I don’t need. after the free trial I tried a standard plan first, but now want to switch to Advanced and try White Labeling option. "WL DSP for buying traffic"
We decided to create own DSP to buy traffic because it is important for us to own the data. Also, we used many ad networks before and it was rather difficult to make thorough analysis of multiple campaigns from various accounts. Now, we have an aggregated stats in one dashboard. Also, the support we get from Epom team is always very prompt and useful. The platform is user friendly and on the most part intuitive. Bidding rules and multipliers were difficult to understand at a first glance. The optimisation algorithm at Epom is very powerful - whitelists and blacklists really ease opimisation of campaigns. "Perfect for buying traffic via RTB"
We use Epom white-label DSP account for media buying. It's cool that we have the aggregated data from all the SSPs and traffic sources that we buy from - it saves a lot of time for analysis and gives us a full picture of campaigns to take further data-driven decisions. The analytics is great and allows us to run performance campaigns. Their support team is very helpful, they assisted us with the trasfer of our campaigns and our every request is answered within 20 minutes. "All in one ad management platform is definitely worth using"
I like the real-time reporting capabilities most, they really have instant analytics with only 1,5 sec delay that sounds fantastic to me since the “real-time reporting” in other products mean 24-hr delay in stats. I’m using Epom for 3 or 4 years already so to me is very easy to use. I’d love to get all the features Epom is rolling out explained straight away. I Remember when I asked about custom feature development and the support team told me it has been already developed and integrated to my account, but I just wasn’t using it. With Epom Ad Server I actually have 0 to 1 percent of discrepancy with the industry limit to 10-15%. I am actively using video and other rich media formats, they’re awesome. "Built my own demand-side platform with Epom"
Now I buy traffic from SSPs and websites at my own DSP and don't pay fees to other platforms. I can connect as many different SSPs and as much traffic as I want. My DSP is customised to the details, I added the name of my company and my logo on it. It looks great. The process of creating DSP was quite complicated, so that's good that I had a demo with Roman from Epom. I built my own DSP and now I buy traffic for my offers with it. I save a lot of money while not paying % from my media buys to other DSPs. "Slightly complex, but amazing ad management platform"
"Be careful form this company, they seem to be a fruad company. " They wasted our company's time for almost 1 month and at the end, we didn't receive any clicks to our website. The customer service representative's name was Maksym. 2- Not sticking to their promises, they told us that we are going to get an account so that we can adjust our ads on our own, but after we sent the money, they stopped responding for 7 days, then when we told them that we are going to file a dispute, they sent us an excel sheet claiming that this is your ad's results! But on our Google Analytics' resports we didn't receive any clicks from their platform! Be careful from this platform, they will take your money and then stop responding. They seem to be a fraud company. Just wasting time, they didn't resolve any of our issues. I don't recommend them to any company. We’re sorry to hear about your recent experience. However, your review most likely refers to another product. Epom Ad Server is the solution that helps you manage your ad activity across all verticals. We don’t do any advertising activity on behalf of our clients. If your concern refers to other Epom product, please PM us at pr@epom.com and we’ll do our best to help you. I had trouble with the complex interface during my first week of usage. Advanced ad management and optimization. Srtong creative capabilities. They provide the variery of rich media ad formats. Support team is really helpful and all the requests are solved quickly. From first sight, the interface is rather difficult for complex setup. If you are looking for a budget ad server for running ads - I highly recommend it! Serving in-house ads for the promotion of our platform. "A Real real-time analytics "
It is quite easy to manage all cross-channel campaigns in one account, great AB testing options and automatic CTR, I2C & eCPM optimization. Sometimes there are problems with uploading certain graphics. I use it for advanced real-time anallytics, and for running rich media af formats - they have likr 50 of ad formats available and its the best option for me so far. "Flexible and Stable Ad Server"
The support team was available and helpful when we were arranging the integration of our partner SSPs and DSPs and setting up our first multi-channel campaigns. The accuracy and quick delivery of real-time analytics was a great bonus too. Despite a rather large number of clients, we never received complaints about delays in analytic data. The recent changes in the UI (tree view to grid view) are very helpful, but they don’t solve some of the interfaces core problems. If your needs are basic, the user interface is as easy to use as it could possibly be, but using some of the ad server’s more complicated features requires a more tinkering around than we would like. The support team makes up for what the UI is missing, but interface improvements need to be made. We needed an ad serving platform that would minimize the time and money spent on setting up cross-channel advertising campaigns. 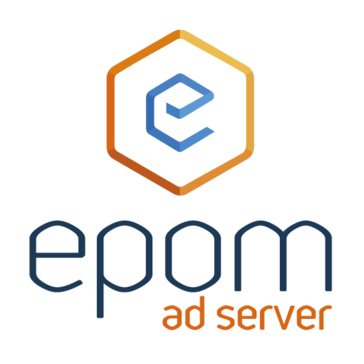 Epom Ad Server made it easy to manage a large number of campaigns on multiple platforms within one account. "Scalable ad serving platform and great support"
I was surprised with how quickly and how well the support team and the platform itself was able to handle the migration from our previous ad serving platform. We went from using Epom as a backup platform for smaller campaigns and websites to using it full-time in a few days, and after four months we haven’t encountered any problems. Although the user interface seems intuitive at first, setting up some of the platform’s more complex features was more difficult than we expected. Although Epom’s support was very helpful, the user interface could be better. Management of our clients’ ad operations became too complex, and we needed a scalable ad server that would simplify the process of setting up and managing campaigns while still providing accurate real-time analytical data. The simplicity of setting up new campaigns across multiple channels was greatly appreciated by everyone in our team. Easy mass-uploads of banners and automatic performance-based optimization for each individual banner and campaign simplified our ad operations. The user interface gets the job done, but could use an update. It works well and is somewhat intuitive, but it’s not visually appealing. We needed to minimize ad-ops time and expand the number of publishers our advertisers could work with. We were able to do both with Epom Ad Server and Epom Market. "Great platform , easy to use and configure"
"Company wasted my time for nothing"
I couldn't use their service. And they couldn't help me login. - Company couldn't help me login. Create an email specially for that service, so if you don't like them you can drop that email. - None, still trying to delete my personal data from that company servers. * We monitor all Epom Ad Server reviews to prevent fraudulent reviews and keep review quality high. We do not post reviews by company employees or direct competitors. Validated reviews require the user to submit a screenshot of the product containing their user ID, in order to verify a user is an actual user of the product. Hi there! Are you looking to implement a solution like Epom Ad Server?